"Religion not the crying need of India" was a lecture delivered by Indian Hindu monk Swami Vivekananda on 20 September 1893 at the Parliament of the World's Religions, Chicago. In this lecture he criticized Christian missionaries for ignoring the needs of starving millions in India. He said that Indians did not need any religious education, as there was already a surfeit of religion in the East; he stated that they needed "bread" to save their lives, which Christian missionaries did not provide. 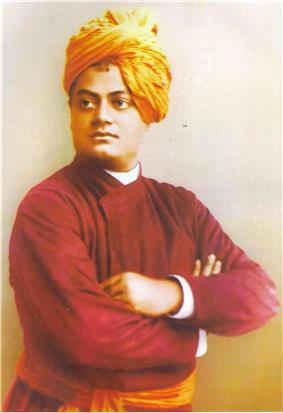 Swami Vivekananda represented India and Hinduism at the 1893 Parliament of the World's Religions, which ran from 11 to 27 September in Chicago. This event marked the first world conference of the representatives of Eastern and Western religions. His introductory speech on 11 September 1893 was of a general nature, stating that no religion was superior or inferior to another. He gave subsequent lectures on 15, 19 and 20 September, covering specific religious issues. On 19 September 1893, Vivekananda's speech veered towards anti-Christian expressions. On 20 September, before Vivekananda started his impromptu speech (as other speakers had not turned up), Prof. Isaac T. Headland, a missionary who worked in China, had presented a paper on "Religion in Peking." This prompted Swamiji to react to this paper and observe that as poverty was prevailing in China it would be advisable for the missionaries to help in alleviating this problem by setting up camps, rather than persuading them to convert to Christianity. In his speech Swamiji in the same context then presented his theme "Religion not the crying need of India" admonishing Christians for their missionary activity in India. This speech was his fourth lecture at the parliament. Vivekananda was not scheduled to speak that day. After the end of Mr. Headland's speech, Dr. Momerie announced that the other speaker for that evening was absent. 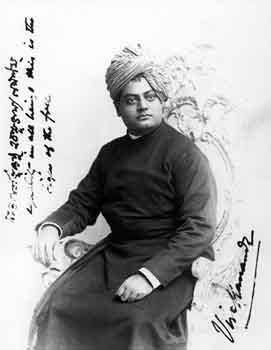 The audience saw Vivekananda in the gallery and asked him to deliver a lecture. Vivekananda assented to the request and started his speech. His tenor of attack was of Christians ignoring the needs of starving millions in India. He said that the people did not need missionaries to preach to them or to build more churches; there was already a surfeit of religion in the East. Thousands had perished out of hunger but the Christians had ignored them. He said that the starving people, referred to as "heathens" by missionaries, needed food, which was not offered by the Christian world. He criticized Christians for not providing enough help to the poor and starving Indians. He also declared that it was food and not religion which was the crying need of India. This lecture is considered to be a significant one. Chicago Inter Ocean published an article on this speech on 21 September 1893. According to Vijay Prashad, the writer of The Karma of Brown Folk, this lecture showed Vivekananda's frustrations. He was "furious with the United States for its belief that religion was its sole export to the subcontinent." ^ Ghosh 2003, p. 81. ^ a b c Chattopadhyaya 1999, p. 344.